In spite of the ever-growing electronic revolution, the demand for paper products is still increasing. Along with this demand comes a lot of waste. According to CleanUp.org.au, Australians send 1.9 million tonnes of paper to landfills each year, most of which could be recycled. ENCAP LLC, a lawn and garden product manufacturer in Green Bay, WI, USA, recognized this waste problem as an opportunity, and called in FEECO for help. 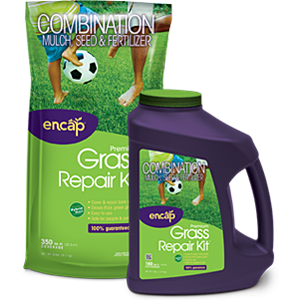 “We knew there had to be a better way to grow grass, and we knew that we could use paper waste to do it.” said Mike Krysiak, CEO of Encap. FEECO’s expertise in agglomeration and granulation helped ENCAP to develop patented processes that take raw paper waste sludge, and transform it into value-added, marketable grass seed and fertilizer products. This paper waste case is just one example of how FEECO used our lab testing and tolling capabilities in combination with our over 60 years of experience to transform a landfill-bound waste into a value-added, marketable product. FEECO is known around the world for our waste transformation, thermal processing, material handling, agglomeration, and fertilizer capabilities. At FEECO International, possibilities are endless. To read about more transformations from waste to value-added products, see our Waste Transformation page.